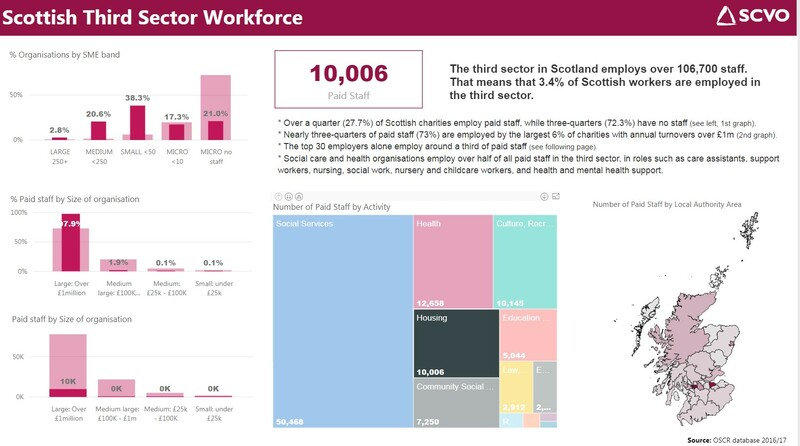 Our new interactive data hub pulls together all the basic data on the third sector such as how many organisations there are, how many employees, what they do, and where they are. 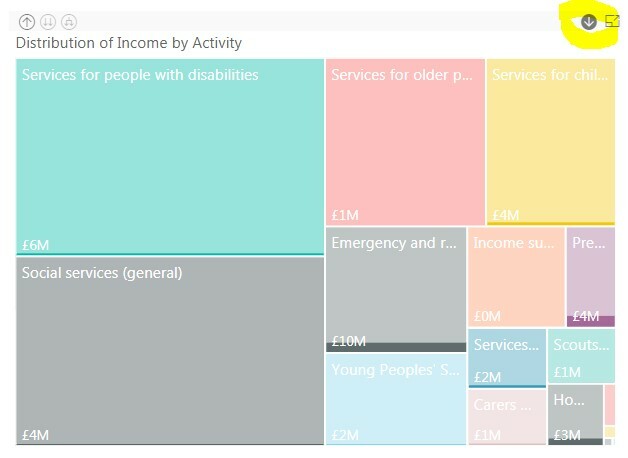 What’s new is that you can now filter data yourself to find out things like – how many people work in the third sector in Glasgow? How much money do third sector social care organisations bring in and spend every year? To get the most out of the data hub you need to get active with your mouse and start clicking. Go to the Contents on the 2nd page – clicking on a heading will take you to the relevant page. Say you are interested in third sector income in the Highlands. First go to the income page. 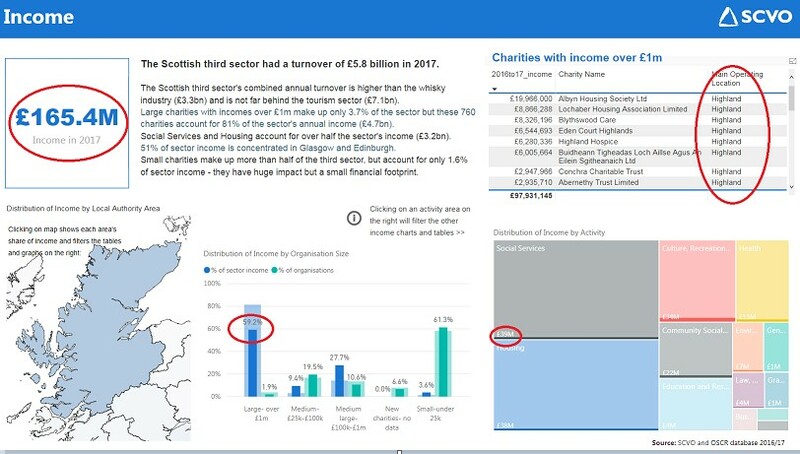 the breakdowns of Highland charities by organisation size (bottom middle) – so for example you can see that the Highlands have fewer large charities than Scotland overall and the turnover of the large over £1m charities they do have is below the national average. Clicking on one graph will filter other graphs on the page. For example, if you are interested in remote rural areas you can see that 15% of charities are based in remote areas. 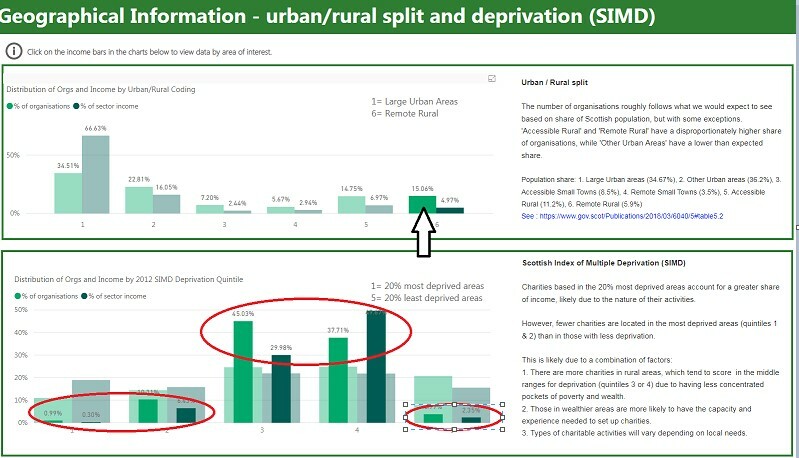 When you click on remote areas you can also see that charities in rural areas are far less likely to be based in the 40% least deprived areas, and are over-represented in the lower-middle deprivation categories – see below. 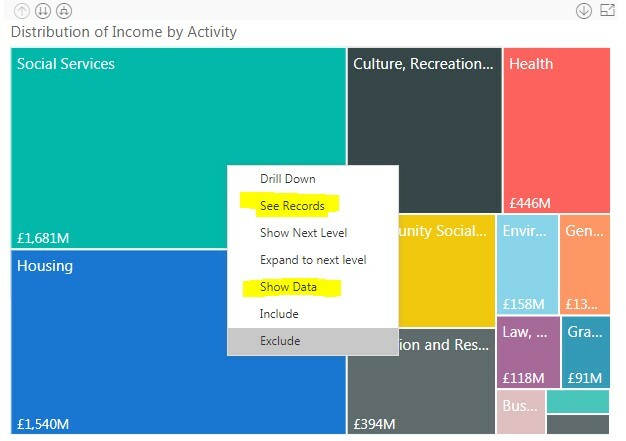 ‘Show data’ will show you the data in a table format. Please spend a few minutes playing around with the data. It’s the first time we have presented the sector stats in this way, so we’re keen to hear what you think. 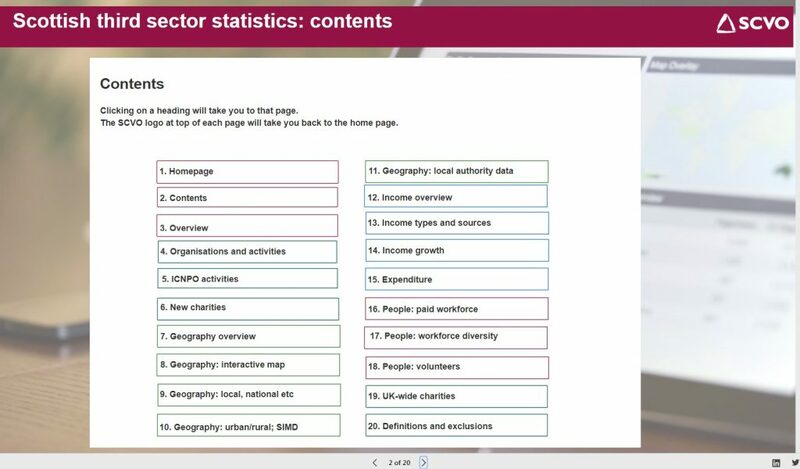 And if there are any facts and figures you are looking for but can’t find in the data hub I’d be happy to try and help. Contact ilse.mackinnon@scvo.org.uk with any questions or comments.